Haw River is poised for growth and economic development since it is located on NC Highway 49 and Interstate 40/Interstate 85 is just minutes away. The Town of Haw River has a great history in textiles and is the only town in North Carolina that can boast having been home to three North Carolina Governors. 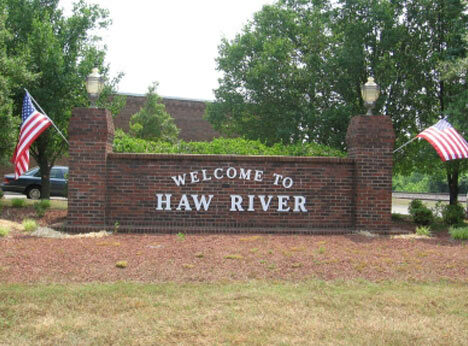 The Town of Haw River is a small town where the residents and town employees are working to improve the lives of our citizens. Haw River was officially incorporated on June 1, 1973. The Haw River municipal building was dedicated on Sunday, July 18, 1976, as part of the nation's bicentennial. The Haw River Municipal Park was opened on August 7, 1981.